Well done on the Reed Bunting on the last post too, you are getting some great garden visitors! 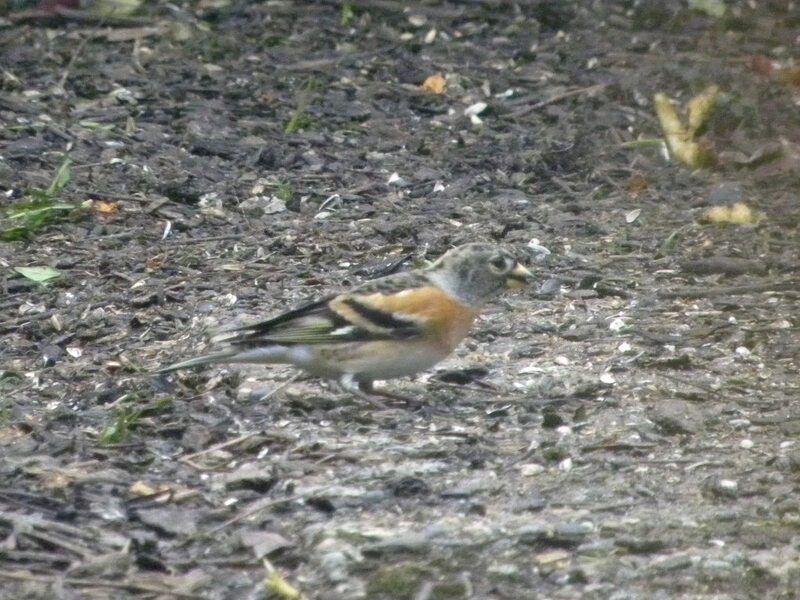 I’ve been waiting so long to see a Brambling and it was only by fluke that I happened to look out of the window when I did, then I had to run to the other room for my camera (holding my breath that it would still be there when I got back!) – phew! How did you find out about the Doobies post I did, is that a site you visit ? I love that sparrow photo, the few sparrows I get would never congregate like that, or stay down on the floor for more than a few seconds, they are really nervous of the Sprawk ! I’m lucky to get so many Sparrows – I enjoy them even more now they’re not bullying the other smaller birds! I’ve not actually seen a Sprawk round here, which is a shame as I’d love one, don’t think the birds would though!! Thats a super bird…is it hanging around or was it just a one-day wonder? 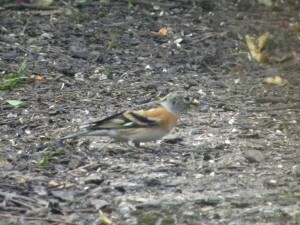 It’s a species I am trying to photograph and just haven’t managed to capture yet. I’m not sure if it’s still around as I’ve been working away from home for the rest of this week – will sit glued to the window over the weekend though to see if it comes back! No problem Eric – I’ll let you know if it comes back. nice one! I still haven’t seen one.